By the time John was 16 years old he had left home; it was expected that everyone would start work and earn money as soon as school was completed. In the 1871 census, his parents, John and Mary, still lived at 10 Garden Street in Tarbolton with several of their children, however John is not among them. It is not known how, or where, John became a gamekeeper. 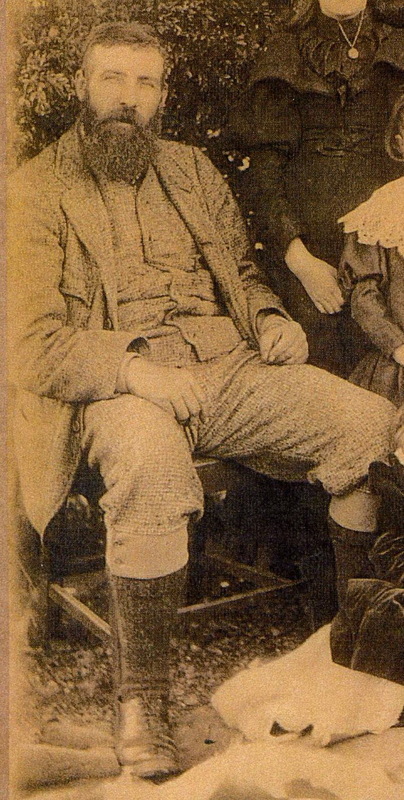 Perhaps he missed being counted in the 1871 census because he was out in the fields learning the gamekeepers’ trade. John next shows up in the 1881 census, by which time, at age 26, he lived at Old Knockjarder, Dalrymple, Ayrshire. His occupation is listed as gamekeeper. A year later, on the 5th of October 1882, John married Isabella WATSON, a ‘farmer’s daughter’. The marriage took place nearby at the bride’s home, Mount Oliphant Farm. Isabella’s parents were Thomas WATSON, a tenant farmer, and his wife Mary HUNTER. John and Isabella lived at Old Knockjarder where their first child, Mary Hunter Morton McCONNELL, was born on 23 March 1883. By the beginning of 1885 Isabella, John and Isabella had moved to Carcluie Cottage, near Ayr in Ayrshire; it was to be their home for the next nineteen years. It was at Carcluie Cottage that the remainder of Isabella’s and John’s children were born. John’s world turned upside down when his 46 year old wife, Isabella, suddenly died on 11 June 1904 after an operation at the Western Informary in Glasgow. John was in Glasgow with Isabella and was the informant of her death. Suddenly John, 49 years old, was left with a motherless family of seven children. Some of the children had completed school and were working: Mary (21) was a dressmaker; John (19) was an apprentice joiner; and Thomas (17) was a clerk. Three children – Janet (15), Isabella (13) and Elizabeth (9) still attended school. The youngest, William, was only two years old. It is not known how John managed with his family for the next few years. It seems fairly certain that Isabella’s mother, Mary Hunter, would come and stay with the family. Also, Isabella’s sister Janet WATSON and her husband Gilbert SPEIRS helped wherever they could. Perhaps Janet also came to stay with the McConnell children – or perhaps William the youngest went to stay at the Speirs home. No doubt much added responsiblity was taken on by Mary, the eldest of the McConnell siblings.